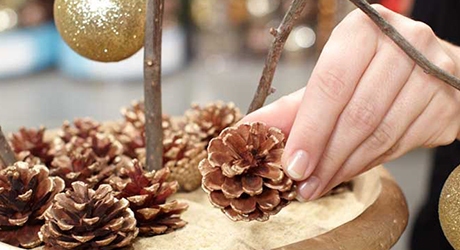 Spruce up your holiday décor with a tabletop tree adorned in rich metallics. 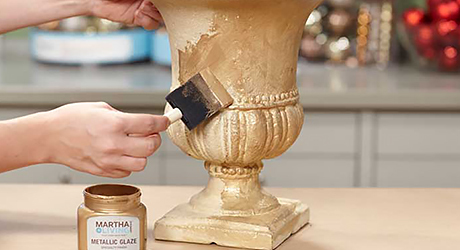 Using a foam brush, paint the urn with metallic glaze paint and let dry. 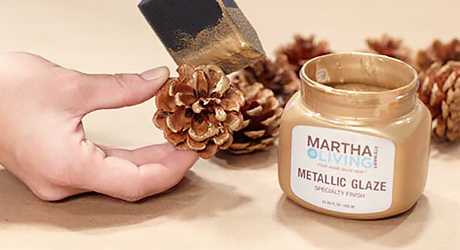 Paint pinecones with metallic glaze paint and let dry. 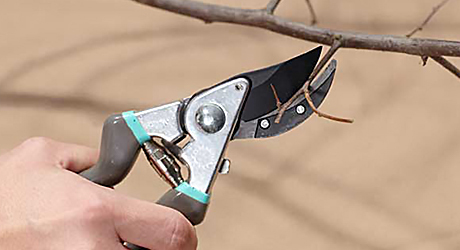 Prune a branch or set of branches to fit in the urn. Tip: It may be necessary to bundle a few branches together with wire to create a fuller tree. Create a “frog” by folding in the corners of a 12 x 12-inch piece of chicken wire. 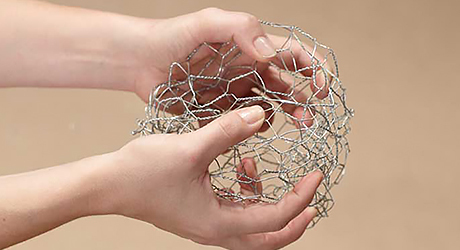 Roll the chicken wire into a loose ball. Set frog in the center of urn. Position the branches by inserting them into the frog. 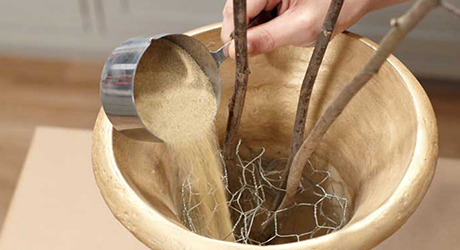 Pour sand around the branch stems to secure them. Cut a piece of cardboard to measure 2 inches. Wrap 28-gauge wire around the cardboard about 25 times. 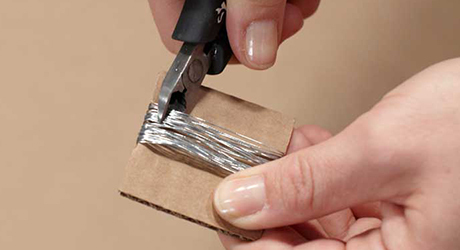 With wire cutters, cut the wrapped wire off the cardboard at one edge. The result should be 25 4-inch pieces. 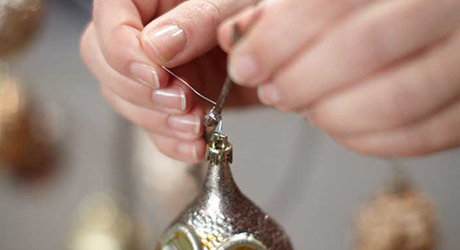 Repeat to create additional ornament wires. 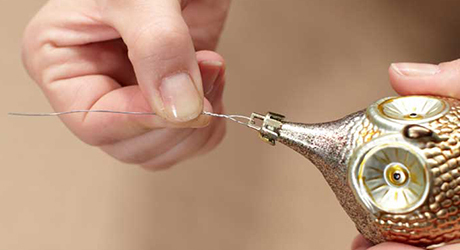 Fold the wire about ¾ inches up from one end and thread through the hanging loop of an ornament. Twist wire to secure onto the ornament. Decorate branches with ornaments by wrapping ornament wires around branches. Place painted pinecones on top of the sand to finish off the decorative urn.